If you love Penguins then you will love this beautiful Penguin scene! Emperor Penguin families gather together to watch the sunset on another happy penguin day. 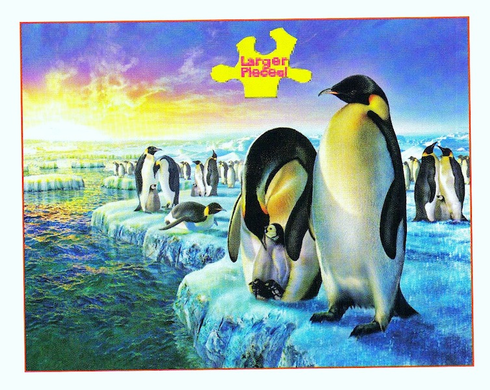 A thousand pieces of cute penguin fun! This puzzle measures 27"X35" This puzzle is Eco-Friendly and printed with Soy-Based Inks on Recycled Board. Proudly made in the USA.